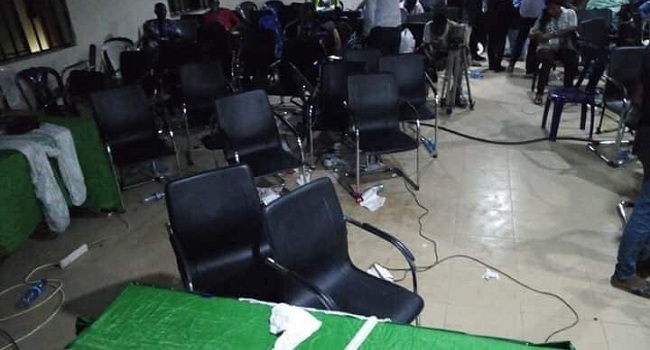 Collation of results from the Imo State governorship election has ended abruptly following the destruction of result sheets by party agents at the state Independent National Electoral Commission’s (INEC’s) centre in Owerri. 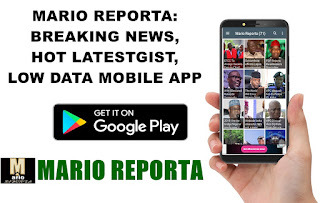 Election results were being collated and announced until it got to the turn of Ideato South Local Government Area (LGA), where the state governor, Rochas Okorocha, hails from. A Peoples Democratic Party (PDP) agent, was said to have protested that the election from the LGA should not be announced on the claims that thugs loyal to Okorocha chased away party agents and wrote the result for their preferred candidate. The PDP agent’s position was opposed by some other party agents who cited that same thing he was alleging also happened at Mbaise LGA. Consequently, the returning officer, Professor Francis Otunta, after consultation asked that the result in contention be announced. Not comfortable with the decision of the returning officer, PDP agents were said to have grabbed, seized and tore the result sheet. Reacting, an opposing party agent quickly rushed to the high table grabbed and tore result sheets of other LGAs already collated. What then ensued was a free for all fight with people scampering for safety. Policemen later arrested the two contending agents.